If you do not already have a prescription for Levitra then you can have an online consultation with our doctor. This is a fast and discreet service that has been used by thousands of our customers. 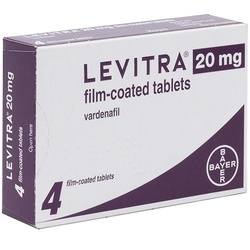 If you have a prescription for Levitra please add the correct amount of tablets to your basket. 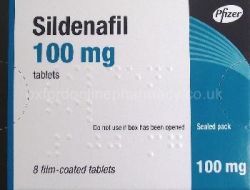 Use in adults and elderly: The recommended dose is 10 mg taken as needed approximately 25 to 60 minutes before sexual activity. 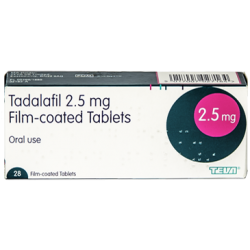 Based on efficacy and tolerability the dose may be increased to 20 mg or decreased to 5 mg. The maximum recommended dose is 20 mg. The maximum recommended dosing frequency is once per day. Levitra can be taken with or without food. The onset of activity may be delayed if taken with a high-fat meal. Tell your doctor if you experience Levitra’s effects as too strong or too weak. He may suggest a switch to an alternative Levitra formulation with a different dose, depending on how well it works for you. If you take too much Levitra 20mg tablets, you may experience more side effects or may get severe back pain. If you take more Levitra than you should, tell your doctor. The active ingredient is Vardenafil. 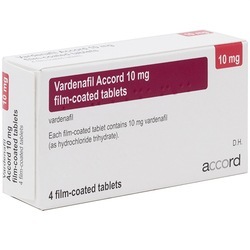 Each tablet contains 20mg of Vardenafil ( as Hydrochloride). Tablet core- Crospovidone, Magnesium Stearate, Microcrysalline Cellulose, Colloidal Anhydrous, Silica. Film Coat- macrogol 400, Hypromellose, Titanium Dioxide (E171), Ferric Oxide Yellow (E172), Ferric Oxide Red (E172). The side effects listed below are more serious, and you should stop taking Levitra, and report these to your GP immediately. Sudden vision loss in one or both eyes. Sudden vision loss in one or both eyes can be a sign of a serious eye problem called non-arteritic anterior ischemic optic neuropathy (NAION). Stop taking Levitra and call your healthcare provider right away if you have sudden vision loss in one or both eyes. Sudden hearing decrease or hearing loss. Some people may also have ringing in their ears (tinnitus) or dizziness. If you experience these symptoms, stop taking Levitra and contact a doctor right away.